Scholarship Opportunity for Area Residents, entries due now! 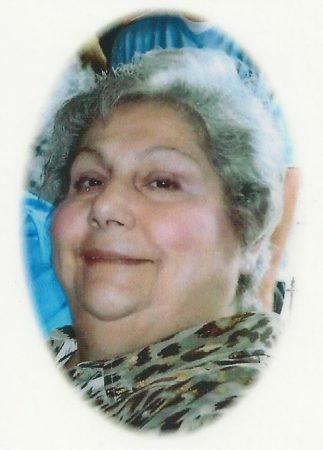 It has been 3 years since lifetime Taylor Street area resident Antoinette “Toni” Di Fiore (nee Arpino) passed away. With her husband of 49 years, James “Jimmy”, Mrs. Di Fiore lived two blocks from where she was born, in the same building with cousin Barry Dalesandro, husband of the late Suzanne, and across the street from her sister-in-law Peachie Basile. A life-long member of The Shrine of Our Lady of Pompeii, she frequently sat in the back row. “There was nothing she loved more than St. Joseph’s Day, which included her hand-painted St. Joseph statues, coveted items during the fundraising auctions,” Arpino said. “Toni’s legacy is not so much her personal feats or accomplishments, but it is what she did and contributed to the lives of the people that she came in contact with, making others better,” Arpino said. “May Toni be smiling down upon the neighborhood and resting in peace. In honor of Toni, her nephew, Vincent Arpino, has started an annual $1,000.00 scholarship to be awarded to a neighborhood resident attending a Catholic high school, in the Chicagoland area, so that Toni’s spirit lives on. The scholarship winner will be announced at the 12:15 p.m. Mass, Sunday, March 17, the Feast of St. Joseph. To apply for the scholarship, please write a 500 word essay, double spaced (no more than 2 pages), about “The person who has most influenced you in your life”. Essay Deadline is Thursday February 28, 2019! Students, Get your essay IN! !